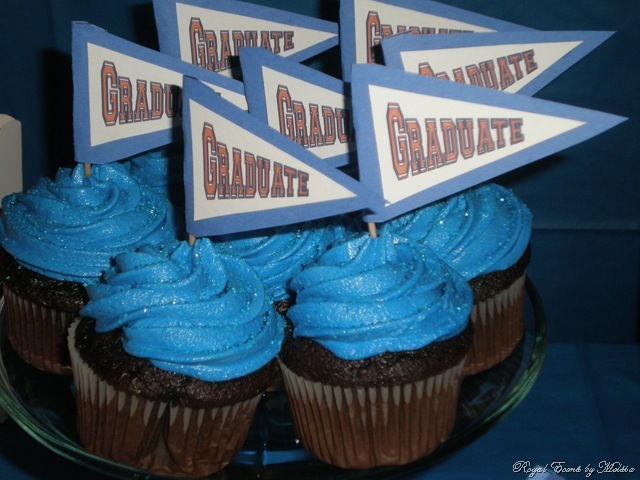 My youngest brother graduated from high school and will be attending the University of Illinois this fall. This is a proud moment for my parents, the last of my siblings has finally graduated and my brother will attend my father’s alma mater. 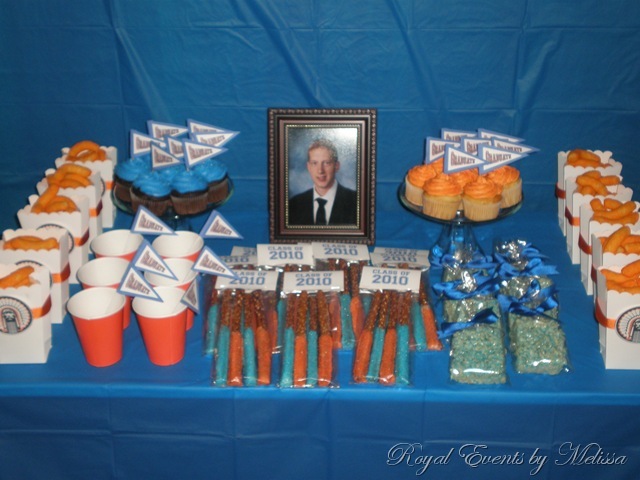 I kept with the school colors of blue and orange and incorporated them into the treats and custom labels. 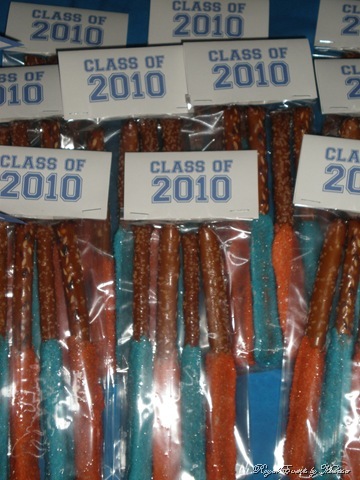 Below right you will see Class of 2010 labels that I created, printed out, and then stapled to the top of treat bags. 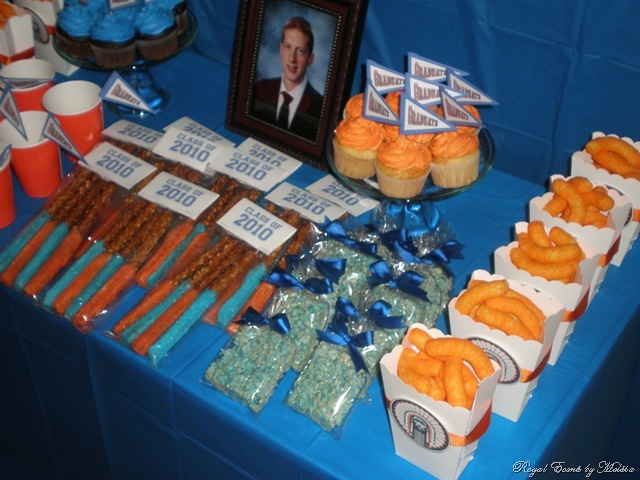 The pretzel rods have been dipped in white almond mark and then rolled in colored sugar crystals. 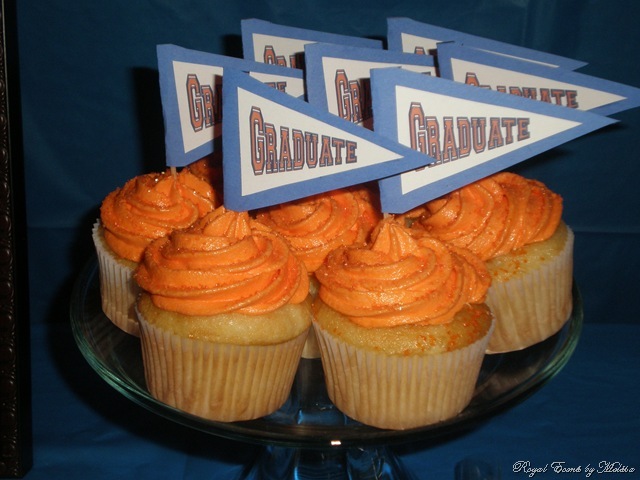 I created graduate pennants to adorn the top of each cupcake. 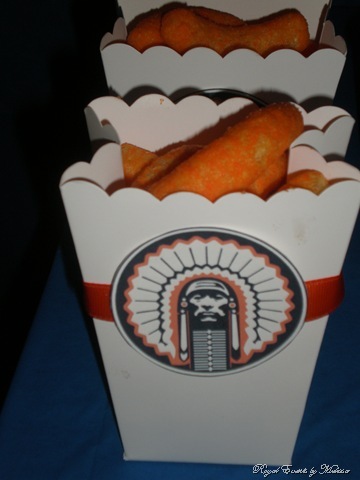 I also cut out the former Illini mascot and placed on treat boxes that were wrapped with grosgrain ribbon. 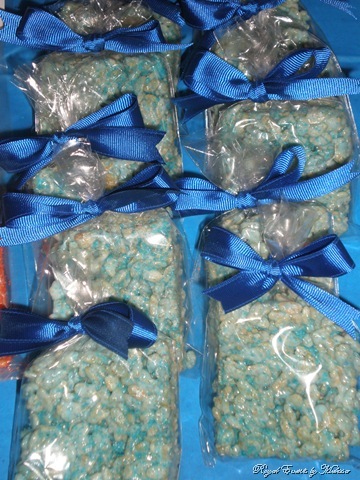 The rice krispie treats were made by placing food dye in the marshmallow as they were melting. 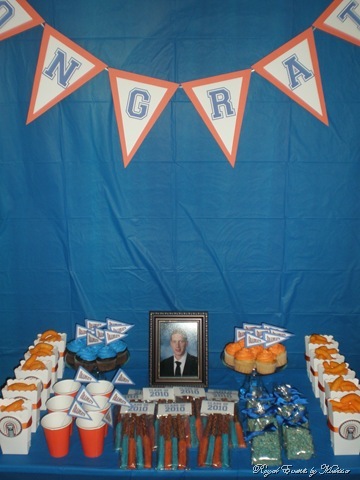 The final touch I created a pennant banner that read CONGRATS.